The beaches and gardens create a pretty picture of East Sandwich. Travellers appreciate the seafood restaurants in this welcoming city. Cape Cod Museum of Art and Cape Cod Museum of Natural History are just a couple of the must-see attractions in the area. Many rental homes come with outdoor spaces, separate dining areas and full kitchens, perfect if you want to enjoy some home-cooked meals. If you're planning a holiday around the weather, July, August, June and September are the hottest months to visit, when temperatures average 27°F. The nearest airport is in Hyannis, MA (HYA-Barnstable Municipal), located 9.2 mi (14.8 km) from the city centre. If you're unable to find a flight that fits your schedule, you could also fly into Plymouth, MA (PYM-Plymouth Municipal), which is 19.4 mi (31.2 km) away. Where to stay near East Sandwich? 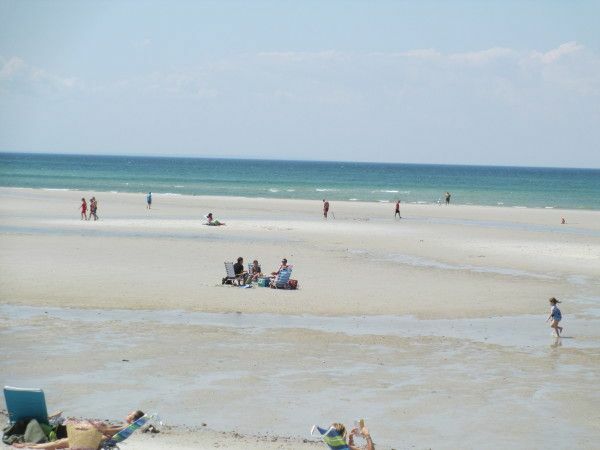 Our 2019 accommodation listings offer a large selection of 176 holiday rentals near East Sandwich. From 101 Houses to 66 Cottages, find unique holiday homes for you to enjoy a memorable stay with your family and friends. The best place to stay near East Sandwich for a long holiday or a weekend break is on HomeAway. What is the best area to stay when travelling to East Sandwich? Can I rent Houses in East Sandwich? Can I find a holiday accommodation with internet/wifi in East Sandwich? Yes, you can select your preferred holiday accommodation with internet/wifi among our 163 holiday homes with internet/wifi available in East Sandwich. Please use our search bar to access the selection of holiday rentals available.